You are here: Home / Bathrooms / Something scratched my tub. How do I fix it? Something scratched my tub. How do I fix it? When you purchased your home, you made a long-term goal to finish out the basement. The only completed room in your basement at that time was a bathroom, which you’ve used over the years for bathing the dog and other really messy tasks. It’s been a while since the last time you’ve used the basement bathroom, and when you take your contractor down to show them the space, you notice a long scratch on the bottom of the tub that you don’t remember seeing before. You ask about how much extra it would cost to purchase and install a new tub, and your contractor suggests refinishing the tub as a way to save money. Refinishing the tub? 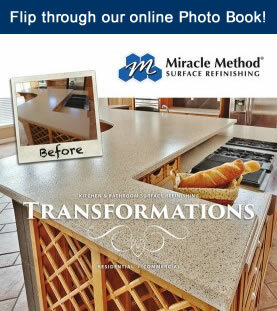 As soon as he leaves, you begin to research surface refinishing and discover Miracle Method Surface Refinishing. Miracle Method franchisees help homeowners like you every day. Our surface refinishing process is a cost-effective alternative to removal and replacement of damaged bathroom fixtures like your tub. Our process involves a thorough cleansing of your tub, followed by the repair of cracks, chips and scratches to make the surface smooth and even. We follow that by applying our proprietary bonding agent, MM-4, to ensure a solid, strong bond between the old surface and the new finish. Finally, a highly trained Miracle Method professional will use a fine-finish spray process to apply a hi-tech, durable acrylic coating. The final result is a smooth, even surface that looks and feels like new. The new finish will last for many years and you’ll have saved up to 75% over replacement costs – money that you can apply toward finishing the rest of your basement! If you’re tub has seen better days, don’t replace! 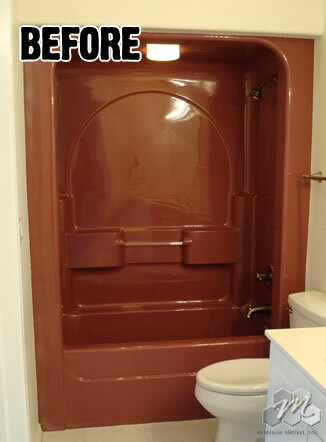 Save time and money by having Miracle Method refinish your tub. Visit our website for more details. You can find a franchise near you by calling 855-212-7337 or by using our online locator. 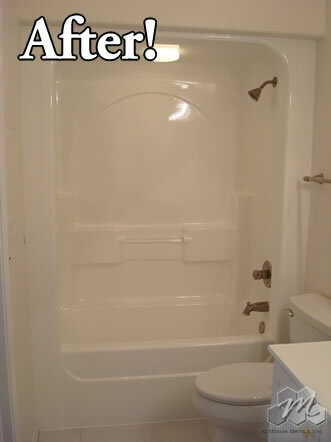 Have what may be a MiracleMethid tub that has two 1-2″ scratches…how do we fix this and who should we call for the repair? Is there a DIY kit so I can fix it?